Travel by mini bus for 1 hour to one of Georgia’s most popular barrier islands, Jekyll. Narrated tram tour offers the history of Millionaire’s Village including the stories of the Reynolds, Vanderbilt and Rockefeller families that made this island a vacation paradise in the early 1900’s. Stops are included at two of the homes for a tour as well as a visit to the Jekyll Island Museum. Following the tram tour, time for lunch on your own and shopping, then visit the Georgia Sea Turtle Center, the coast’s premier coastal wildlife rehabilitation facility before departing back to Savannah. 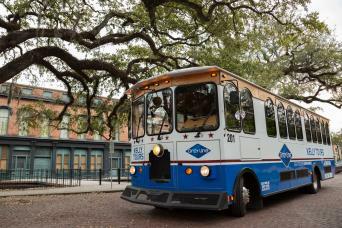 Mini-Bus Transfers to and from Savannah's Visitors Center to Jekyll Island. Tram Tour of Jekyll Island's Historic District and Millionaires Village. Georgia Sea Turtle Center Tour. Tour departs at 9:00 a.m. only. 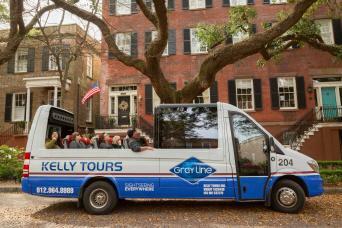 Travel by mini bus to Jekyll Island where you will tour the island by tram visiting Millionaires Village stopping and taking a tour of two of the homes and tour the Jekyll Island Museum. Following the tram tour, you will lunch on your own and have free time for shopping. Visit the Georgia Sea Turtle Center, the coast’s premier coastal wildlife rehabilitation, research and education facility. While visiting the Sea Turtle Center, you’ll learn about the exciting lives and ecology of sea turtles with an interactive Exhibit Gallery and Rehabilitation Pavilion. 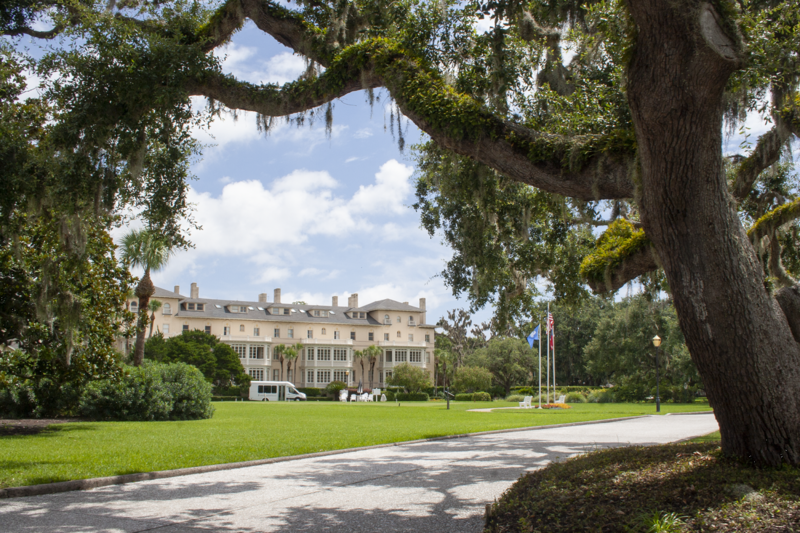 Depart Jekyll Island at 3:30 pm for your return back to Savannah’s Visitors Center. You will leave Jekyll Island feeling you were transported in time vacationing at one of Georgia’s rich and famous playgrounds at the turn of the 20th Century. Mini-Bus departure at 9:00 am from the Savannah Visitors Center 301 Martin Luther King Blvd for Historic Jekyll Island. Adults $99.00 (13 and up) and Children $79.00 (3-12). 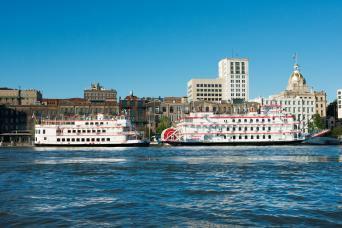 Departure from Savannah's Visitors Center located at 301 Martin Luther King Blvd and Historic District Hotels.